In a world where technology is forever evolving, it is hard to picture our lives without some form of it. Whether it is our phones, tablets, or computers, one way or another we all use some form of technology and even depend on it. But, what happens when there is an emergency and you lose power? Or when you are on a long camping or hiking trip with no way to plug in your devices? That’s where a handy solar charger comes into play. These products use solar energy to charge your devices in those times of need and can really be a lifesaver when it comes to emergencies. There are a few things that you need to know before you purchase one of these chargers because not all are created equal. It is important to keep in mind what your intended use is for this kind of product. Are you an avid camper or hiker and looking for something that you can use on a continuous basis? Or are you just looking for something to help you feel more prepared in case of an emergency? Each solar charger is made with a certain level of power. Some offer lower wattage and some offer higher wattage, so knowing exactly what you need is imperative before you purchase a product. You will also want to keep in mind the overall weight of the product, especially if you plan on taking it with you when you go hiking. 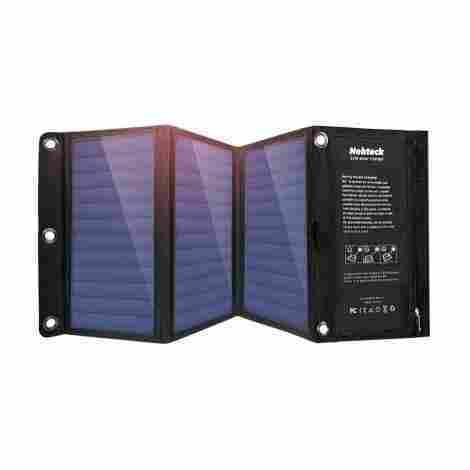 Below is a list of the best 10 solar chargers with all of these aspects in mind. If you are looking for a product that offers portability, optimal power, and ultimate safety, then this is the ideal product for you. Made from a strong PET plastic face that is sewn into a durable canvas made from polyester, this charger offers up to 3 amps of power and is equipped with short circuit technology and surge protection, which is great for optimal safety. This compact, foldable design is easy to haul and has eyelets made from stainless steel, so you can hook it up to a tent or a backpack so it is out of the way. This product is made from a strong PET plastic for the panels that are sewn into a durable canvas made from polyester. It also has eyelets that are made from stainless steel, allowing you to hook up to a tent or a backpack so it is out of the way. This product was built with efficiency in mind. It can charge devices at an incredible rate. It can charge up to 2.4 amps for each port, or a total of 3 amps overall with adequate sunlight. This means that you can charge your cell phone in no time at all. In comparison to other solar chargers on this list, this one falls into the more expensive category, but don’t let this price steer you in a different direction. Keep in mind that you are getting a high-quality product that is made from a strong PET plastic and a durable polyester canvas that is foldable, offers two ports that charge anywhere from 2.4 to 3 amps, is compatible with both iPhones and Androids, and is equipped with short circuit technology and surge protection, so you are getting an amazing product for a great price. This 16-watt charger converts up to 23.5% of solar power to free energy. It is also capable of charging 2 devices at the same time, so it basically does twice the work in no time at all. This product is also lightweight and folds up easily, making this compact and easily portable so you can take it with you wherever you go and not have to worry about losing charge on your devices. This product is equipped with iSmart technology that offers optimal charging and adjusts to the amount of power your device needs to charge. This technology detects the amount of input on each device and distributes the output of power according to your specific device, so you won’t have to worry about smaller devices taking up all of the power. This means that your device charges much more efficiently and effectively, so you can have is back up to a full charge in no time at all. This product was designed with portability in mind. It is a lightweight product that can easily be folded to make carrying around that much easier. This means that you can take this product with you on any camping excursion or anywhere you go and it takes up minimal room and is easy to carry. If you are looking for a product that works efficiently and is easily portable, then this is the ideal product for you. When you compare this solar charger to other chargers on this list, this one is a bit more on the expensive side. Given the fact that you are getting a durable product that offers 16 watts, allows you to charge 2 devices at the same time, is equipped with Smart technology, and is easily foldable to make hauling easier, you are getting a high-quality product that will last you for years to come! This product was designed with efficiency and portability in mind. This 3 panel, the 10-watt design keeps all of your USB compatible devices charged and ready to go, no matter where you are. This product is also equipped with dual ports for charging and is compatible with smart devices that are compatible with a USB cable. It is also lightweight and compact, so you can fold this up and take it anywhere you go with no hassle. Backed by a 1-year warranty, you really can’t go wrong with this choice. The solar panels on this product are made from monocrystalline, which is a material that is known for its ability to absorb light. This type of material is what makes this product so effective and efficient at charging your devices. This product was designed with portability in mind. Weighing at only 18 ounces, this lightweight product can easily be folded, which makes it easy to haul. This means that you won’t have to worry about lugging around something that is heavy and awkward during an emergency or camping excursion! If you are looking for a high-quality, efficient product that won’t put a huge dent in your wallet, then this is the perfect choice for you! 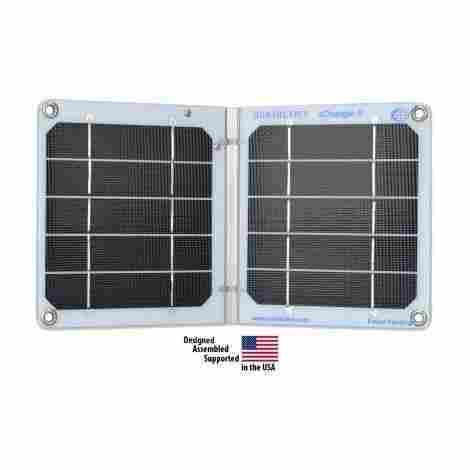 When you compare this solar charger to other solar charges on this list, this one falls into the less expensive price range, which is great news for you! Considering that you are getting a high-quality, 10-watt product made from monocrystalline that is foldable and portable, has 2 different charging ports that are USB compatible, and is backed by a 1-year warranty, you are getting an incredible product for a price that won’t break the bank! If you are looking for a product that works harder than you, then this is the ideal choice for you! This 14 watt, water-resistant charger is made from heavy-duty PET plastic with a durable oxford fabric that ensures a long life. 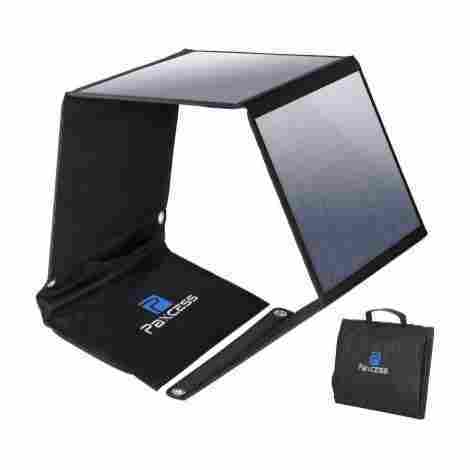 Equipped with SolarIQ technology, this product charges anything from cell phones to tablets in no time at all! This product is also backed by an 18-month warranty, so what do you have to lose? This product is equipped with a unique SolarIQ technology. This technology allows this product to detect the amount of power each of your devices needs, and adjust the amount of voltage accordingly. This means that you can have 2 devices hooked up to this product and it will distribute the output according to what the device needs, so it can charge more effectively and efficiently. This product also focuses on the ultimate safety of you and the charger. It is not only water-resistant but is also offers short circuit and surge protection. This means that you won’t have to worry about the device getting wet and starting a fire, which is a huge added bonus! In comparison to other solar chargers on this list, this one falls into the average price range. Given the fact that this is a durable product made from PET plastic and oxford fabric that is water-resistant, offers 14 watts of power, is equipped with SolarIQ technology for a more efficient and effective charge, has dual charging ports, offers short circuit and surge protection, and is all backed by an 18-month warranty, this is an amazing product for a price that you can’t say no to! This 21-watt charger was made with durability and functionality in mind. Equipped with 3 solar panels and 2 charging ports, this product makes charging devices simple and worry-free. Offering up to 3 amps of power overall, this product is compatible with any USB device. It is also equipped with SmartIC technology, so charging devices is much more effective and efficient. Backed by a 12-month warranty, you will be happy that you made this choice! This product focuses on efficiency and effectiveness as well. Designed with a special microchip that detects the amount of power your device needs and adjusts the power accordingly, you will never have to worry about your devices not getting the proper charge. This product was designed to withstand the rugged outdoors. Its durable canvas was made with the outdoors in mind and it won’t get ruined if the panels end up getting damp. It is also foldable and lightweight, which makes carrying this product around a breeze! When compared to other solar chargers on this list, this one falls into the average price range. Considering that you are getting an amazing product that offers 21 watts, has dual ports, is equipped with SmartIC technology, is foldable and portable, and is all backed by a 12-month warranty, you are getting a high-quality product for a great price that you can’t walk away from. If you are looking for a high-conversion charger that made from a durable material, then this is the perfect choice for you. This 50-watt product can convert energy up to 23.5% and offers multiple different connectors that are compatible with iPhones and Androids, so you can charge any of your devices worry-free. This product is also made from a strong, water-resistant oxford fabric that is also foldable and portable, so you know it was built to last. This product was designed with efficiency in mind. It uses a special kind of technology, called SmartIC, that uses a microchip to determine the amount of power each of your devices needs. This means that it will use the adequate amount of power and distribute it accordingly, so your devices will charge more effectively and efficiently. There is nothing worse than buying a product that is supposed to charge your devices in the elements, just to have it stop working due to a little bit of water damage. You won’t have to worry about that issue with this product because it was designed to be water-resistant. This means that no matter the type of situation you are using this product in, you can rest assured that it will keep charging your devices when you need them the most! In comparison to other solar chargers on this list, this one falls into the more expensive price range. Keep in mind that you are getting a high-quality 50-watt charger that is made from Oxford fabric and water-resistant, has 3 charging ports that work on any smartphone or devices and uses SmartIC technology for a more effective charge, so you are getting a premium product for a great price! If you are looking for a product that offers a lot of power and is easy to fold up and take with you, then this is the ideal product for you! Equipped with 2 charging ports that offer 2.4 amps per port or a total of 3.4 amps overall, this product focuses on overall power. It is also foldable, which makes it easy to take along with you no matter where you go. It is also water-resistant, shockproof and dust-proof and contains an LED flashlight and is backed by a limited 24-month warranty, so you know that this product was made to last! This product was designed with the ultimate durability in mind. Made from a durable material, this product is not only waterproof, but it is shockproof and dustproof as well, so you don’t ever have to worry about it getting ruined by rain, dropping it, or getting dirt on it. If anything should happen to this product, it is backed by a 24-month limited warranty, so you know that this product will live up to its expectations. Who doesn’t like a few extra features when they purchase a product? This is exactly what you get with this product. Not only are you getting a durable charger, but you are also getting a built-in flashlight with LED bulbs, which is great for emergencies, a USB cable, and a handy hook, so you can hook this product on items, such as backpacks, to keep it out of your way! If you are looking for a powerful product that won’t break your budget, then this is the perfect choice for you! When compared to other solar chargers on this list, this one falls into the less expensive price range. This is great news for you because you are getting a high-quality product that is water-resistant, shock-resistant, and dustproof, has 2 charging ports that are compatible with USB devices, can charge 3.4 amps overall, is equipped with an LED flashlight, and is all backed by a limited 24-month warranty, all for an amazing price that you can’t turn away from! This durable, powerful 22-watt charger is perfect for those who are constantly on the go and need their devices charged. Equipped with two ports that offer up to 3.4 amps overall, this product has a SmartIC chip that is built-in, so you get the most accurate and efficient charge. This product is also portable and folds up really easily, so you can take it wherever you go. Backed by an 18-month warranty, you will be glad that you made this choice! This product is equipped with SmartIC technology. This technology uses a built-in microchip that can detect the devices that are plugged in and distribute the power accordingly. This technology allows your devices to charge at a more accurate rate simultaneously and prevents overcharging, which makes this product both effective and efficient. Even though this product is powerful, it is also lightweight and portable. Its compact design allows you to fold this up easily and take with you wherever you go. Not only is it lightweight, weighing only 17.5 ounces, and extremely thin at 1.6 inches when it is folded, but it is also made from a waterproof PVC fabric, so it was built to last. Looking for a powerful yet portable product that won’t break the budget? Then this is the ideal choice for you. 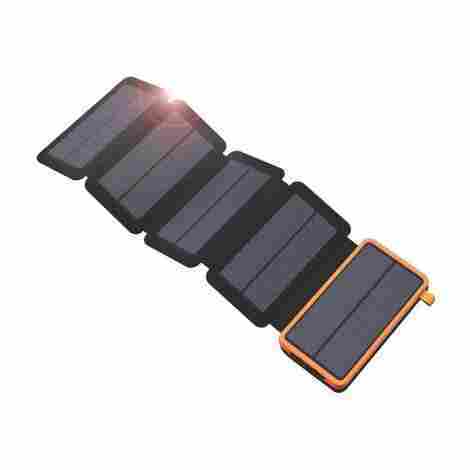 When you compare this solar charger to others on this list, this one falls into the average price range. Given the fact that you are getting an amazing quality product made from a waterproof PVC fabric that offers a total of 3.4 amps overall, is equipped with SmartIC technology to help give your devices an accurate charge, is very lightweight and easy to haul, and is all backed by an 18-month warranty, what do you have to lose? If you are in the market for a hard-working and extremely effective charger, then look no further! This product offers one 5V USB port that charges your device quickly and effectively. It is also extremely lightweight, weighing a mere 7 ounces, which makes it easy to take along with you. It is also equipped with an Auto-Reset technology that automatically tries to re-establish connection during those not-so-sunny days. 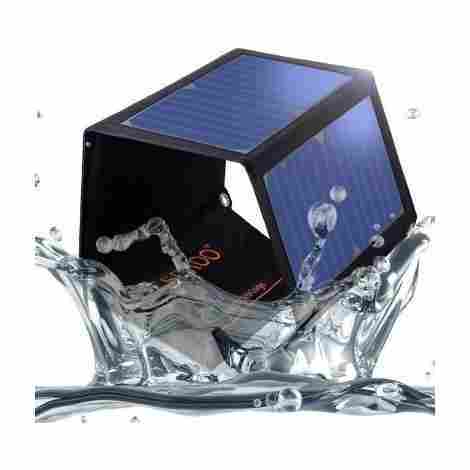 The solar panels and connectors are also encapsulated, so you don’t have to worry about water damage or any kind of damage from impact. Backed by a 2-year warranty, this product is a must-have for any outdoor enthusiast. This product really focuses on overall durability and longevity. 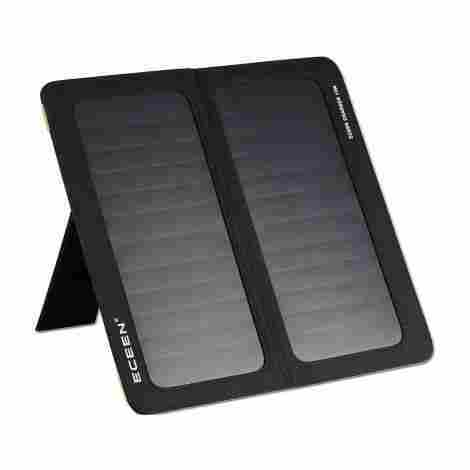 It was designed with encapsulated solar panels and connectors that help protect your charger. This means that you won’t have to worry about any kind of water damage or damage after accidentally dropping it, so you know that this product was built to last. This product also features a unique technology called Auto-Reset. This technology will automatically try to continue to establish a connection and charge on your devices on those cloudy days. This means that you won’t have to continuously check your device to make sure that it is charging, so you can spend more time doing what you enjoy and less time fussing over technology. In comparison to other solar chargers on this list, this one falls into the more expensive price range. Considering that you are getting a 5 volt charger that has encapsulated solar panels and connectors for added protection, is equipped with a unique Auto-Reset technology that keeps attempting to establish a good connection on those cloudy days, is water-resistant and impact resistant, only weighs 7 ounces so it is easy to haul, and offers optimal power conversion that is all backed by a 2-year warranty, you are getting a high-quality product for a great price! If you are looking for a lightweight, compact product that works great at charging, then this is the one for you! This 13W product offers 22% efficiency and has two charging ports that offer 2 amps at maximum. Made from a durable polyester canvas, this product is not only weather-resistant, but it is also lightweight, weighing only 1 pound. The design and weight of this product make it easy to take with you anywhere. Equipped with a voltage regulator, you won’t ever have to worry about your devices overcharging or overheating. The canvas on this product is made from a very durable, weather-resistant polyester. This material is known for its longevity and its ability to wick away moisture and dry quickly, so you won’t have to worry about this product or your devices getting damaged from rain. This product is also equipped with a voltage regulator. This technology actually regulates the amount of power going to your devices, which prevents them from being overcharged or overheating, so you don’t have to worry about any damage being done! When compared to other solar chargers on this list, this one falls into the less expensive price range, which is great news! 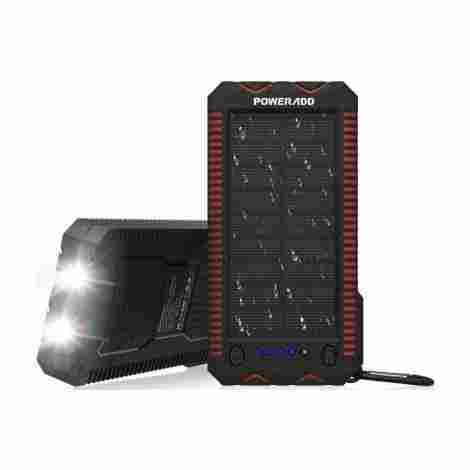 Given the fact that you are getting a high-quality product that is made from a durable polyester that is weather resistant, offers up to 22% efficiency, has dual ports that charge up to 2 amps, is lightweight and portable, and is equipped with a voltage regulator to help protect your devices, you are getting an amazing product for an incredible price! As you can see, there are a few different options out there when it comes to solar chargers. Making sure you know what your needs are prior to shopping will go a long way in putting you on that right path to finding the perfect product for you. Knowing the amount of wattage you are looking for is very important when it comes to buying a charger because the amount of wattage you will need really depends on what you intend to use it for. If you are planning on using it on a regular basis while you go camping or hiking, then finding one that has a higher wattage might work best for you. If you just plan on having it around in case of an emergency, then you might only need a lower wattage charger. It is also important to keep the weight of the product in mind. If you have to take this charger with you in an emergency or plan on taking it with you when you are hiking, you are not going to want one that is too heavy. Keeping factors like this in mind while you are shopping will help you along the right path of finding the perfect solar charger that fits your specific needs! One of the most important aspects to keep in mind is the overall wattage that the product offers. The reason why this is important is that the amount of wattage determines how fast your devices will charge. If you are planning on using the product for a long camping trip or out hiking, then you might want to consider getting a product that has a higher wattage because you will be using it a lot more. If you only plan on using the charger on rare occasions or for emergency purposes, then you should be okay with getting a product that has a lower wattage. You will also want to keep in mind the devices you plan on charging and how many you want to charge at one time. The higher the wattage, the more equipped they are at handling the bigger devices. The material that the charger is made from is another important aspect to keep in mind. Remember, you are dealing with electronics and sometimes we are forced to charge our devices in not so favorable weather. You will want to make sure that the charger is made from a material that is either waterproof or water-resistant. 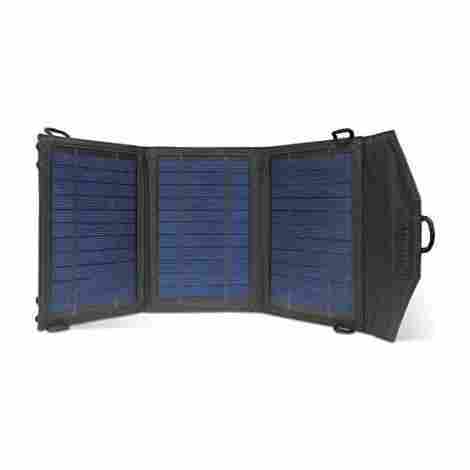 Most solar chargers these days are either made from polyester, PVC, PET plastic, or oxford fabric. These materials are great for preventing water damage, but if you plan on taking this product somewhere near a body of water, then choosing a material that is waterproof is your best option. A lot of products these days offer multiple ports so you can charge multiple devices at one time. This is a great feature to look for, especially if you have a larger family or are planning a hiking or camping trip with friends. There are also some products out there that offer different forms of technology that not only help with charging your devices but also help protect them from overcharging or overheating. This is a great feature to look for because your devices aren’t cheap and insurance might not cover that specific kind of damage. There are also other features that distribute power according to that specific device by using a microchip to determine the output necessary for each device, which is a great way to conserve energy. Let’s face it, we can’t always rely on the sun being out and shining brightly 24/7 and solar chargers rely on the sun to stay charged. This is why it might be a good idea to purchase a product that has a backup battery or the option to buy one separately. This is especially important if you plan on using the product for emergency purposes. If you lose power during a storm, chances are you are not going to have the adequate sunlight necessary for it to reach its optimal charging capabilities. Chances are, most of the solar chargers you look at these days are portable. What you will want to pay close attention to is the weight and size of the product. This is especially important if you plan on carrying this product around with you on longer hikes or in an emergency where evacuation is necessary. If you have to carry the charger with you, you will want something that is lightweight and easily foldable so you won’t have to struggle during your walk. 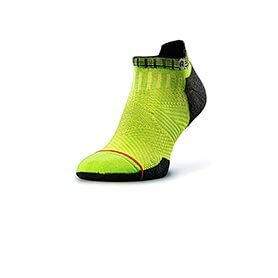 You might also want to look into products that have eyelets and carabiners for easy hanging, so it is out of your way and doesn’t get stepped on or kicked around. As with anything that you buy, the cost of the product is always important, especially if you are on a budget. 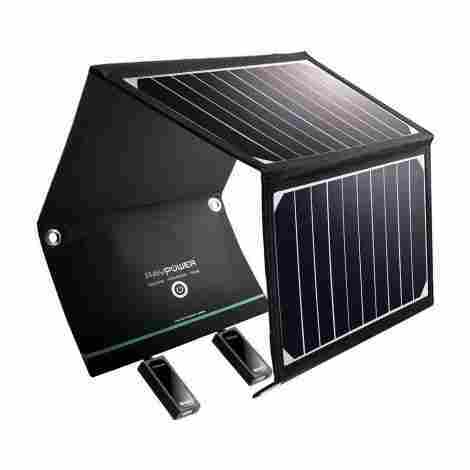 The cost of solar chargers really depends on the number of functions and features it offers, the type of technology it uses, the number of watts, and the accessories that it comes with. The more advanced the technology, the more money you will pay. This is also true for the different functions and features. Depending on what you plan on using it for, paying the extra money may prove to be worth it. For example, if you plan on using the product regularly and have multiple devices that you wish to charge on it, then it may be worth it to spend the extra money because you will want one that can withstand that kind of usage. You also might end up spending a little more on products that are waterproof versus water-resistant, but those few extra bucks could save you hundreds if your devices end up exposed to water. Overall, it depends on what your primary plans are for the product and whether or not you feel that the extra money is worth it. Q: What is the difference between a 2-panel charger and a 3-panel charger? A: The number of solar panels can determine how well the charger absorbs sunlight and transfers it into energy. The higher the number of panels, the more room for absorption, but it doesn’t always have to do with the number of panels either. A lot of the absorption of solar energy depends on the type of material that the panels are made from. If the 2-panel charger is made from a material that ranks high in light-absorbing, like crystalline, then you will still get a great charge for your devices. Q: Should I get a charger that is water-resistant or waterproof? What is the difference? A: Choosing between water-resistant and waterproof really has more to do with personal preference and where you plan on using the charger. Water resistant means that the product can resist water, but only to a certain degree before it starts to penetrate the material. This basically means that if you drop it in a deep puddle or a body of water, chances are the product will no longer work. Waterproof means that the material is impervious to any amount of water. In other words, you could drop it in a puddle or body of water and chances are your device will be just fine. Q: What is the difference between a solar panel charger and a power bank? A: Solar chargers rely on the power from the sun to charge your devices and a power bank stores the power in an internal battery. 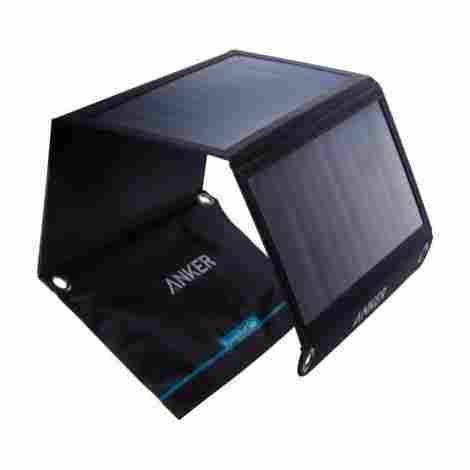 Some solar chargers do come with an external battery that can be charged using an AC adapter that plugs into the wall. Remember that solar panels don’t hold a charge like power banks, they just use the sunlight to convert it into energy to charge your devices.